Today's wound care practices have changed very little over the last 4000 years. The earliest recorded notation about wound care dressing changes was found in clay Sanskrit tablets which date back to 2000 B.C. Since that time, man has dressed wounds with a myriad of dressings and yet one principle remains the same; the practice of that is changing dressings frequently, the routine spanning from daily to as often as hourly. Over the last decade, the industry has made great efforts to reduce the frequency of dressing changes. Today, two and three day dressings have become the industry standard. Science has proven every time one changes a dressing, they damage the tissue they are desperately trying to save. Science clearly demonstrates each and every time the dressing is changed, all healing stops for a minimum of eight hours. That figure does not take into account the damage to the existing tissue caused by the changing of the dressing. If one examines the process of angiogenesis neo-vascularization in healing tissue, it becomes clear that a sigmoidal curve appears. Over the first 14 days there is virtually no regeneration of capillary inflow. However, starting approximately from day 14 through day 21 the in growth is prolific. Podiatrists and advanced wound care specialty programs over the last 10 years have taken advantage of this knowledge when treating diabetic heel ulcers. Whereas, historically the state of the art required aggressive surgical debridement of escar. Today it is left in place. Together with off-loading, the escar provides a protective covering, allowing the undisturbed tissue to heal itself. As the wound heals along the margins, the escar spontaneously frees itself and the physician simply nips the loose escar away until the wound is completely healed. The impacts of wound pain both acute, that associated with dressing changes and chronic 'the pain that is present between the dressing changes is often overlooked. Pain can negatively impact the healing process in two different ways. Initially, as the body responds to pain, it emits chemical mediators which slow down the healing process. Secondly, and even more elusively, chronic pain compounded with daily bouts of acute pain can lead to depression and a feeling of hopelessness. When one is depressed, both the psychological and physiological factors reduce the body’s ability to heal. Each time a dressing is changed, there is a risk of introducing bacteria into the wound. Bacteria can come from the care giver or simply from the patient themselves. In either case, these nosocomial infections can drastically harm the patient and create an economic and legal perspective which can be devastating to those responsible for the patient’s care. Additionally, it should be noted, antibiotics, host defensive cells such as macrophages and T-cells are whisked away in the dressing when removed. Traditional dressings are frequently bulky, uncomfortable and by their very nature, obscure and hinder one’s ability to monitor the healing process. Frequently, these dressings require adhesives to secure them. In the elderly or patients whose skin has become thin due to side effects of medications, the skin is at continual risk to injury each time the dressing is changed. As already stated, for some time now, clinicians and science has well known that changing dressings daily was harmful. However, there was no alternative. Over the last decade, the industry has made great efforts to reduce the frequency of dressing changes. Today, two and three day dressings have become common place. Unknown to science for thousands of years, natives in the deepest part of the Amazon jungle had been using 'a dressing’ they harvested from the back waters of the Amazon River. Originally discovered approximately 30 years ago, we now know it to be pure crystalline microbial cellulose. At a microscopic level microbial cellulose is essentially identical to the body’s own collagen. It provides a semi-rigid scaffold which is believed to facilitate cellular migration across the bed of the wound promoting the healing process. Furthermore, the nano-structure of the cellulose is consistent with the body’s own tissue, allowing for transpiration. A dry microbial cellulose dressing 50 microns thick is able to remain in place for long periods of time and many times until a wound is healed. 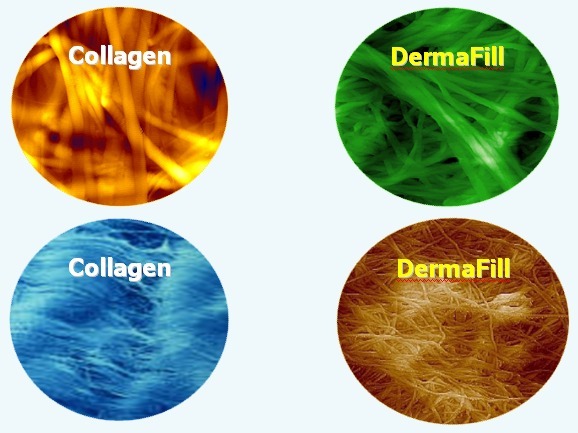 Although dry microbial cellulose membranes are recommended to be changed PRN, physicians and clinicians have found in most cases, a single application is all that is required, and healing rates can be dramatically accelerated. The clarity and bio-compatibility of microbial cellulose allows the dressing to comfortably and securely attach itself to the wound surface without the need for adhesives. This effectively eliminates the risk of injury caused when removing dressings secured with adhesives on patients with fragile skin. The pore size of the dressing provides a vapor transfer rate very similar to the body’s own skin, therefore effectively managing fluid balance in most wounds. In most cases, secondary dressings are not necessary. The clarity of dry microbial cellulose allows clinicians and patients to easily and quickly evaluate and document the healing process. The longevity of the dressing along with the clarity and ease of documentation drastically reduces labor cost and time of wound care. When one adds to this the fact that the dressings are frequently less expensive than traditional dressings the cost benefit is compelling. Physicians and patients have reported virtually 100% of the time, complete and nearly instantaneous pain relief when microbial cellulose dressings are used. They have also commented on the excellent haemostatic properties even with patients being treated with anticoagulants and long term steroid use. The very fact that dressing changes are infrequent and the pore size of microbial cellulose is consistent with the bodies natural tissue, the risk of nosocomial infections is dramatically reduced. In this author’s opinion, it is an easy crosswalk from the lessons learned over the last decade treating diabetic heel wounds. Science has shown why physiologically the body heals best when undisturbed and podiatry and wound care experts have proven the “hands off” approach used to heal diabetic heel wounds to be the best. Dry microbial cellulose dressings allow us to use the same science and techniques to allow the body to naturally heal virtually all wounds.